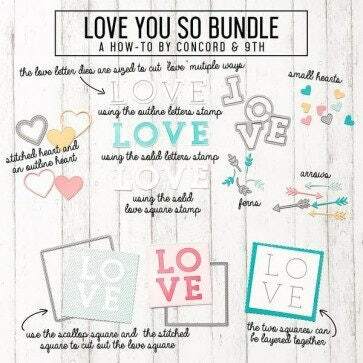 11 piece die set that coordinates with Love You So stamp set! Use the scallop and stitched squares together or independent of each other. Die cut the large solid stamp square in the Love You So stamp set. 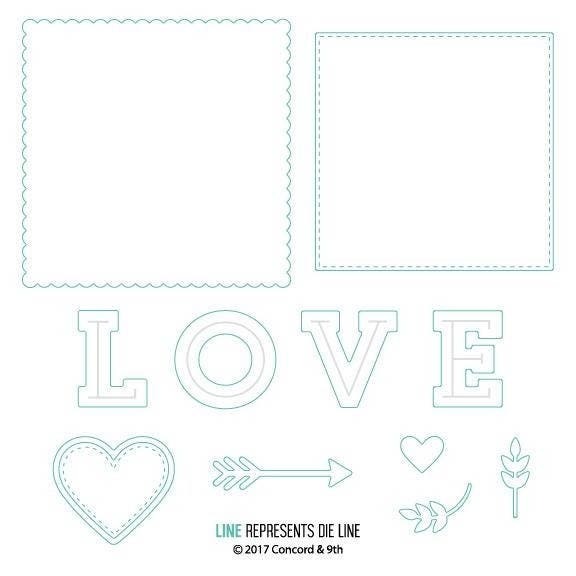 Die cut the letters L, O, V, E and other pieces to embellish your cards! Scallop Square: 2 3/4" X 2 3/4"
Stitched Heart 1 1/4 X 1 1/8"
Small Heart: 7/16" X 3/8"